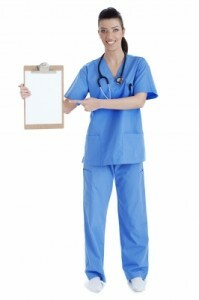 What Nursing Programs are Right for You? Are you looking to break into a growing field with excellent salary potential? Nursing can be a fulfilling career with excellent potential for advancement. Registered nurses account for the largest section of health care workers in the country. There are an estimate 2.6 million RNs working in the United States and demand for new nurses will continue to grow through the next decade. Most entry-level nurses hold either a two-year associate degree or a four-year bachelor’s degree. The American Association of Colleges of Nursing recommends a four-year degree from an accredited institution. Graduates who earn a four-year degree will enjoy a higher salary ($3,700 a month) and greater opportunity for advancement to a senior position. Licensed practical nurses and licensed vocational nurses perform the exact same duties and require the same certification. Whether there’s a “P” or a “V” in the middle really depends on what state you live in. Professional LPNs work under the direction and supervision of registered nurses by caring for patients in a hospital, clinic or home setting. Most LPN nursing programs take about 14 months to complete and graduates earn an associate degree. It’s important to remember that a degree alone does not mean you can jump right into a job. You’ll have to get licensed prior to starting work as an LPN. The NCLEX-PN is an exam administered by the National Council of State Boards of Nursing. To become licensed, candidates must pass the exam. How Much Does a Nurse Earn? According to the Bureau of Labor Statistics, the median wage for a Registered nurse is around $64,690. RNs who worked in medical and surgical hospitals earned roughly $66,650 while those working in private clinics made slightly less, $62,880. Working in a hospital will offer the best opportunity for new nurses to start with a higher salary. Because registered nurses are highly educated and in demand, most employers offer flexible schedules, bonuses, educational benefits, health benefits and childcare. RNs can work varying hours, including afternoons, evening and overnight. Patients in hospitals and nursing care facilities need around-the-clock care. The median wage for an LPN is around $40,380. It’s lower than the salary of a registered, but also requires less schooling – two years instead of four. LPNs and LVNs will likely earn a higher salary working for a hospital, but job opportunities will be plentiful in the private realm as well. Like Registered nurses, licensed practical nurses work all hours, including overnights, holidays and weekends. The job prospects for both registered nurses and LPNs are excellent. This rapidly-growing job market is expected to grow by 26 percent through 2020, making it an appealing option for those looking for job security and a rewarding career. Registered nurses with a bachelor’s degree from one of many accredited nursing programs will have a much easier time finding work and will earn a higher starting salary. Job opportunities for LPNs will be plentiful for those holding a two-year degree, although the salary will be higher for RNs.